Not so long ago, creating an online shop entailed investing a substantial budget and having comprehensive tech knowledge and development skills. Now, companies of all sizes have unprecedented opportunities to sell online, and it is easier and cheaper than ever before to attract more customers and expand your audience worldwide. However, there are numerous eCommerce platforms for small businesses to choose from, each with its own set of features, so how can you know which is the right one for you? In this guide, we address the issues that challenge the success of every small business right from the start! 4.Is Woocommerce the Best Solution for New Businesses? When it comes to online commerce, there are a number of options you can choose from, starting with auction sites and marketplaces, but the best option is using an eCommerce platform to develop your own shop, to build your online audience and increase your sales performance. Today, every entrepreneur can open up an online store in just a few hours, with a minimum effort, at the lowest cost, thanks to the ever-growing progress of the eCommerce arena and the constant upgrading of online shopping technologies. One of the first steps you need to make is to decide over the type of platform that is best suited for your business: SaaS (hosted) or self-hosted eCommerce solutions. Each option comes with its own advantages and disadvantages, so you have to be well informed to make the right choice. 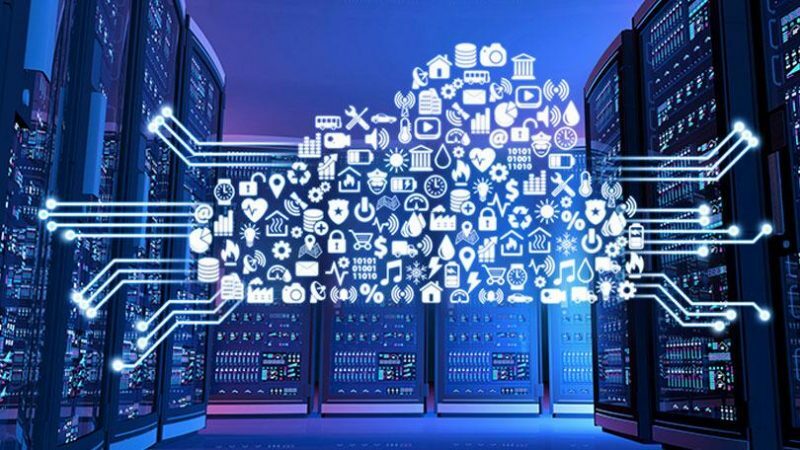 A SaaS platform is one of the most preferred solutions for startups, as you have from the start the space you need to sell products online by hosting your web shop on the provider’s platform server, as part of the services they offer. There are many benefits of choosing this option, such as not needing to know any tech skills or having to hire an eCommerce website developer to build your website from scratch. A SaaS platform is an easy way to develop your website on your own, benefit from maintenance and hosting. In exchange, the provider charges a monthly subscription for keeping your website running. You also don’t need to worry about the security of your users’ payments and the technical support you’ll be needing. You’ll also have access to standardized training materials and customer support to improve your store. Some examples of hosted solutions include Shopify, Squarespace, Oracle Commerce, BigCommerce, Volusion, 3DCart, among others. We’ll talk more about the most popular ones below, in the next chapters. In the case of a self-hosted platform, such as WooCommerce or Magento, they provider gives you the software and you decide where to host it. In other words, open-source eCommerce solutions don’t provide the infrastructure you need to launch and run an online store. As such, you’ll need to install the eCommerce platform on the server you are choosing to use, be it your own or rented from a web hosting agency. There are plenty advantages to choosing this option, as you have a lot of freedom in terms of customizing your website’s appearance and functions choosing the type of hosting that is the most suitable for your website. The disadvantage is that need to hire a WooCommerce developer to help you design and launch your online shop, in case you lack the technical expertise. Self-hosted platforms examples include WooCommerce, Magento, Opencart, Ubercart, Zen Cart. We’ll discuss the first two in the dedicated sections, below. 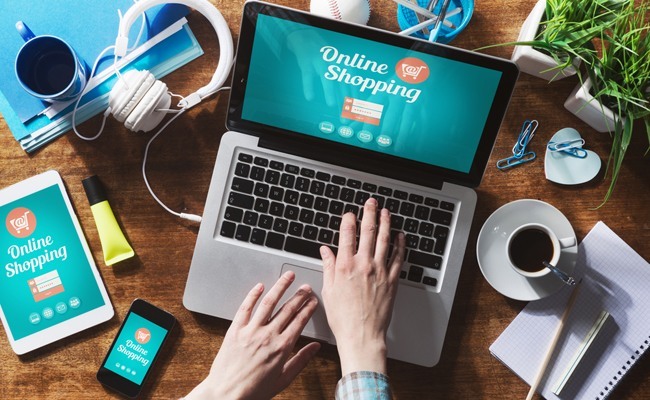 Deciding which eCommerce platform is best for your startup it is vital for the success rate of your business and for your ability to grow your sales, so it is useful to address the main issues from the beginning, at the planning stage of your online shop. The target audience: Who is your target audience and what your standard consumer shopping behavior is like? What are their main interests: do they care about the details, or prefer bulk purchasing? The product features: How would you like to present your goods to your online shop visitors? Analyze your competitors and write down what matters most for your target audience, so you can easily decide what features to implement for each product. The overall budget: How much can you invest in your online shop creation? Do you afford to hire an eCommerce website development company? Do you have a budget for self-hosting? eCommerce platform features: Do you need to integrate your platform with other payment systems, such as Paypal? Do you plan to run email marketing campaigns, or perhaps you have a mailing list you want to connect the system to? Do you want your visitors to be able to bookmark items, make favorite lists, share products on their social media accounts, match the products you sell? If so, then check to see if the platform you plan to use offers these features. Product catalog size: How much stock are you planning to sell online? Try to plan ahead for the future of your business, too. How big do you want your stock to be in a year from now, how about in five years? Tech skills: How user-friendly do you want the platform to be? Don’t forget that some user-friendly platforms can limit your customizability freedom to personalize your website. Also, think about choosing a platform that has a large community of developers you can reach to, in case you need technical assistance. Try WooCommerce or Magento Open Source. Hosting is the first and most important decisions you’ll make in building your online store. As stated above, if you’re tight with the budget and don’t have any coding skills, then a SaaS eCommerce platform is the way to go with you. However, you should also consider going for a self-hosted platform, such as WooCommerce or Magento Open source, to benefit from greater flexibility and customizability for your store. The customizability level of an eCommerce platform is directly connected with the decision stated above, so in this case, if you want to implement a personalized design or special features, then an open source platform is a better-suited solution for you. 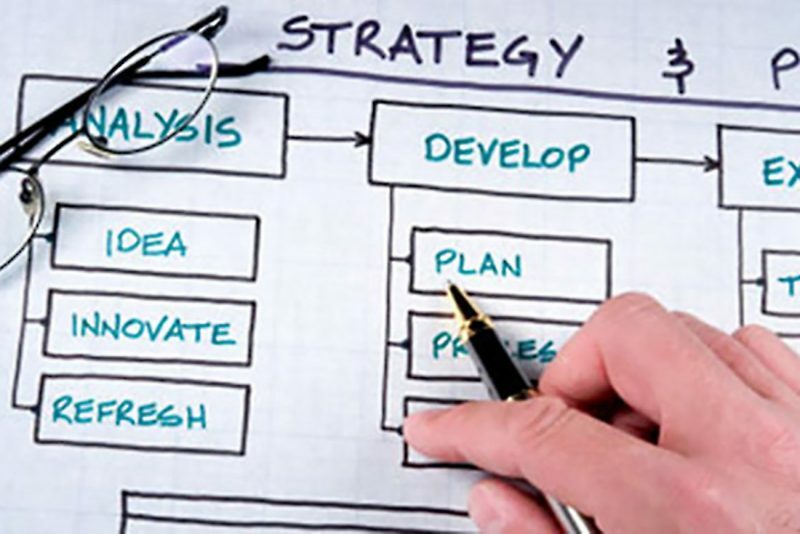 The features you want your website to have are another key aspect you need to plan ahead. For example, what promotion and discount tools you want to use? Do you want to offer your customers an easy checkout procedure? What reporting tools you find most handy? Do you plan to run email marketing campaigns? Do you want to offer multiple payment options? Think about all the features that matter most to you, make a list and check to see what eCommerce platform offers them all. You’ll also want to pay attention to responsive design features, to be sure that your website is mobile-friendly. Add-ons are another important aspect, especially if you intend to use a CRM system or you intend to use a particular shipping platform. 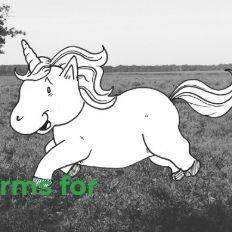 If so, check to see what eCommerce solution can cover your requirements. The price of the platform is also important. Pricing is a variable that depends on multiple aspects, primarily on the type of platform you choose. While open source eCommerce platforms are mostly free, you’ll spend some money on site creation and maintenance. On the other hand, hosted eCommerce platform require a monthly fee payment that differs from one provider to another, depending on your stock, the website features you want to use, your sales volume and other particular aspects that may vary from one provider to another. Ask for professional SMB advice! Choosing an eCommerce solution can be an overwhelming job for those of you that are new to eCommerce merchandising, that’s why we’ve prepared a top 3 most popular and easy-to-use platforms to help you succeed. WooCommerce is an open-source plugin for WordPress based websites, specially designed for eCommerce businesses from small to medium in size. You can use it to either build your online shop from scratch or add your existing online store to your self-hosted website. 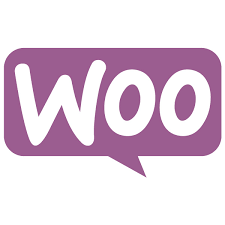 Here are some of the most popular online shops developed on WooCommerce platform: clickbank.com, shop.spectator.co.uk, bluestarcoffeeroasters.com, dealotto.com, porterandyork.com, overclothing.com. Magento Open Source (formerly known as Magento Community Edition) is one of the first options merchants take into consideration when they open an online store. Thanks to its flexible platform, the software allows you to implement additional plug-ins and modules to extend its core functionality, which makes it one of the most popular eCommerce solutions available on the market. Another feature that makes it the to-go option for fresh online retailers is that it offers access to a huge marketplace, where you can find both free and paid extensions that simplify your workflow in terms of managing processes, reporting tools, and adds new features to improve your shop. Since 2007, when its beta version was released, Magento managed to build an excellent reputation in its niche market, as “the standard of eCommerce industry”. You can find out more about the extensions and themes you can use to customize your website on Marketplace.Magento.com. Apart from the complete set of features Magento offers to meet your specific needs, you’ll have access to the Magento ecosystem, the community of Magento developers where you can find inspiration and technical support. Planning on migrating to Magento? Read our guide on how to move your shop to Magento. Start your business with Magento! Since 2004, Shopify is one of the most preferred options for small retailers websites, and one of the leaders in the branch when it comes to SaaS platforms. Today, Shopify offers two types of solutions: subscription businesses and merchant solutions. While the first is a pure form of SaaS platform, the second is a transactional payment processing solution, through which merchants pay a fee for each transaction that takes plan in their shop. With Shopify, you don’t have to worry about the hosting, security and processing payments, as all these are integrated into their software as a service platform. Mind that choosing a SaaS platform, such as Shopify, means that you are somehow limited when it comes to personalizing your website’s functions and looks. As a solution to this disadvantage, Shopify offers numerous free templates and applications for its users. The eCommerce software you choose to use for building your webshop is the most important aspect of your online business, and unfortunately, there’s no one size fits all solution, not even for small retailers. In what follows, you can find out how the most popular eCommerce platforms for startups stand by comparison with WooCommerce, the most popular of them all, so you can make an informed decision in building the best online presence for your brand. 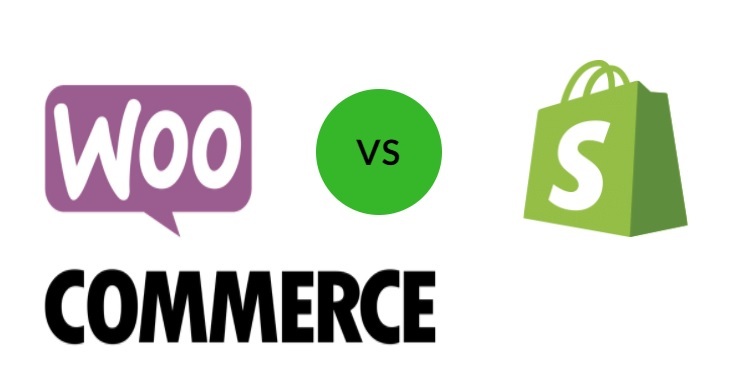 WooCommerce and Shopify are different types of eCommerce platforms: while the first one is basically a software that you need to install and host, the second is a SaaS platform that includes hosting services and provides you with a friendly interface to build your store. Yet, eCommerce statistics show that WooCommerce is the first choice for online merchants. Although at first, it may seem that Shopify can be the way to go, don’t just hurry yet. Here are main differences between the two, to help you decide which of them makes a better job for you. WooCommerce may force you to buy a hosting service, but you’ll have complete control over the look and feel of your website, starting with your products data, the design, and the most important aspect of all, the shop functionalities and capabilities. By comparison, Shopify doesn’t give you the freedom to control your website data or modify your store looks and feel like you please, to fully represent your brand identity. Themes and storefront templates are other benefits you’ll have for choosing WooCommerce, which offers thousands of free and premium themes for its customers. By comparison, Shopify offers only 9 free themes and 100 additional templates. Both WooCommerce and Shopify are easy to use, simple to customize, feature-rich, scalable and flexible eCommerce platforms with numerous extensions and all the basic features you need to run an online store. In a nutshell, the main differences are the level of flexibility you want to have to customize and personalize your store, and the budget you are ready to invest. In terms of costs, WooCommerce software is free, WordPress hosting costs about 12$ per month, and the domain name just as much per year, while Shopify is subscription based, so you’ll have to pay around 30$ per month and an additional 13$ for the domain store per year. Get a professional [WooCommerce] dev team today. Both WooCommerce and Magento Open Source (Community Edition) go a long way back in the eCommerce industry, and they’ve both gained a wider audience becoming the most popular solutions for online retailing. They are both open source and self-hosted eCommerce platforms that support unlimited products. Each of them offers all the freedom you need to customize and personalize your website look and feel, together with various extensions, themes, and add-ons. The main difference between the two resides in the user-friendly interface, where WooCommerce excels. While both represent good options for beginners, Magento requires more technical know-how than WooCommerce. Check out more details about the two in our previous post on Magento vs WooCommerce: which of them is a good alternative for lighter websites. Do you need a WooCommerce or a Magento Developer? Let’s talk today! Today, Woocommerce is the most used eCommerce platform worldwide, while Prestashop has less than 5% of the market share in the eCommerce industry. Despite it being number 7 in top 10 most used eCommerce platforms, PrestaShop is a good option for startups and small retailers, as it is free, easy to use, and offers the basic features every online store needs to sell goods online. Another plus for PrestaShop is the fact that its CMS is translated into over 40 languages, a quality that WooCommerce lacks. In all other aspects, such as flexibility, plugins, extensions, features, integration with social networks, email marketing, payment options, friendly-interface, management features and reporting tools, SEO features and catalog size, WooCommerce wins. Plus, WooCommerce gives you access to a wide community of users and web designers that can offer you technical support and advice, in case you run into trouble. By comparison, Prestashop has no official support. To sum it up, if what you need is just a basic eCommerce store, than PrestaShop can do the job for you, but if you wish for a more personalized shop, then WooCommerce is the right answer. WooCommerce and BigCommerce are different types of eCommerce solutions: while the first one is a shopping cart plugin with open-source software, the second is a fully SaaS platform, an all-in-one solution for online merchants, so from the start, we have a rich perspective regarding the main differences between the two. Today, WooCommerce occupies the first category position in top 10 eCommerce platforms, according to Datanyze statistics, and below are the main reasons why this is so. While BigCommerce offers all the basic tools and functionalities you need to set up your website and launch it in almost no time, compared with WooCommerce, it has its downsides, specific to an SaaS platform, such as: lack of freedom to personalize and customize your shop as you wish, higher costs, and limited functionality. In this sense, WooCommerce offers more service providers, extensions, and integrations than BigCommerce, to help you create the best shopping environment for your customers. Price is another important aspect in which the two differ. A standard plan on BigCommerce starts with 29.95$ per month, while WooCommerce’s software doesn’t cost a thing. When it comes to themes, they both have free and paid ones, but WooCommerce has a wider library of add-ons and plugins to choose from to improve your website’s appearance and functionality, and customize it such that it can better represent your brand in the online market. BigCommerce has also many plugins and add-ons, but the premium ones require a monthly fee, that ranges from 15-50$ per month. The community of developers is another aspect that makes a big difference. WooCommerce gives you access to a big community of developers, tips, and forums, where website users can offer you the support you need, while BigCommerce offers online live chat support, which translates into dependence on the customer support expertise. Get a professional [WooCommerce] dev team today! The are three components that make WooCommerce the first choice among online merchants, from small to medium size businesses: a personalized, fully functioning online shop at the lowest cost and with the minimum technical effort implied. As more and more businesses worldwide migrated to WooCommerce, the platform has evolved and adapted constantly, and the community of specialized web developers has grown stronger and stronger into a wide ecosystem that offers all the support WooCommerce users need to personalized their store and meet their target audience demands. Below are the key points why WooCommerce is the best offer the eCommerce niche market has for startups and small businesses. Affordability is one of the values that merchants appreciate most, and WooCommerce offers the best features you can possibly want for your shop, with limited budget investments. From the start, the software is open source, and there are numerous free themes and extensions that can expand your website’s capabilities and functions to help you provide a pleasant shopping environment for your visitors. You also have available WooCommerce paid themes that range from $79 to $139, depending on the features you want to add to your store, but for startups and small businesses, the free themes library is more than enough to attract their online customers and increase their sales performance. WooCommerce has plenty of free and paid themes to choose from, from WordPress and third-party developers, that offer attractive and responsive design, are fast loading, custom functionality and can be personalized with your brand. The most popular WooCommerce themes include, among others, The Retailer, ShopKeeper, Divi, Kallyas, Porto, XStore, Atelier, Merchandiser. You can also customize the theme you choose using the built-in options from the menu to change the layout and navigation or add widgets and HTML/CSS to it if you have the technical skills required. WooCommerce places no limit on the back-end choices you make for your store, so you have full control over how you run your business and all the freedom you need to integrate any app and extension that can help you improve your website’s functionality. The most used extensions include Zoom Magnifier, UPS, FedEx, PayPal, Amazon, Stripe Payment Gateway, Direct Checkout, Menu Cart, 2Checkout, Xero, Product Gift Wrap, Zapier automation. As far as support goes, WooCommerce has numerous resource to get your inspiration going and get the help you need if you get stuck. From installation topics to web design, themes, extensions, and plugins, WooCommerce has all the documentation ready and available to you as a text or video tutorials. You can also ask a WooCommerce developer for help, submit a ticket to WooCommerce’s help desk for support, or contact a development agency or a freelancer to do the job for you. WooCommerce development companies can help you with a quick launch, so you can have your store up and running in a matter of days. You’ll benefit from development and hosting services, technical assistance, day-to-day store management and client project management and optional marketplace integrations. Other services WooCommerce development agencies can provide you with contains market research, content creation, offsite backup, SEO and PPC services, performance and SEO audits. Need help getting on WooCommerce? We can help! So these are the first steps in building your online audience and creating an eCommerce website. Browsing through the eCommerce platforms we’ve presented, you can now easily make your pick and proceed to create your online shop. As stated above, deciding between a paid eCommerce solution and an open-source software is a crucial aspect that determines the performance of your website and the success level of your business. One thing is clear: every website has its own requirements and there’s no such thing as the best eCommerce solution, and no standard way of launching an online store, not even for small businesses. Opting for a paid SaaS or an open-source platform is really up to you, depending on the budget you are willing to invest, the plans you have for the future of your business, and the expectations you have in terms of your website’s looks and feel. However, going through the steps listed above you’ll successfully manage to find the solution that meets all your requirements, one that offers the foundation your store needs, so you can build the best shopping environment for your customers. In the end, the choice you make depends on two crucial aspects: the budget you are willing to invest and the technical expertise you possess.